[vc_row][vc_column][vc_column_text]TRF was founded in New York City in 1958, and the New York Chapter sponsored the establishment of a national organization in 1960. Now entering its seventh decade, the New York Chapter continues to hold monthly luncheon meetings. These feature speakers from government, industry, and academia, discussing projects, policies and issues related to freight and passenger transportation. In December 1960, the first organized meeting of the American Transportation Research Forum was held in St. Louis, MO, sponsored by TRF-NY, which became the founding chapter. Other chapters followed in Washington, DC, Cleveland (Lake Erie), and Chicago. Additional chapters were organized in Philadelphia, New England, Northern California, and the Pacific Northwest. 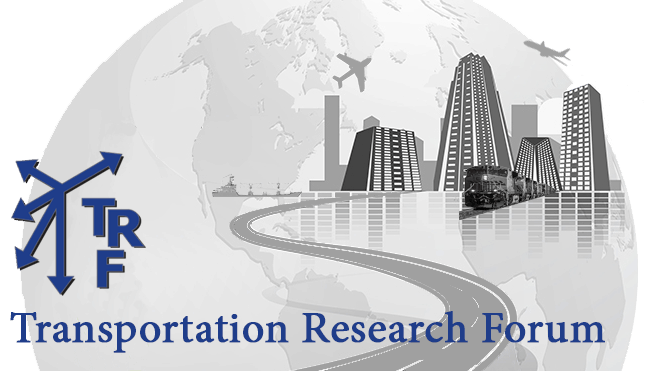 With the expansion of the organization into Canada, the name was shortened to the Transportation Research Forum. NY Chapter luncheon meetings are still regularly held. These feature speakers from government, industry, and academia, discussing projects, policies and issues related to freight and passenger transportation. George Haikalis, ASCE, President, Institute for Rational Urban Mobility, Inc.